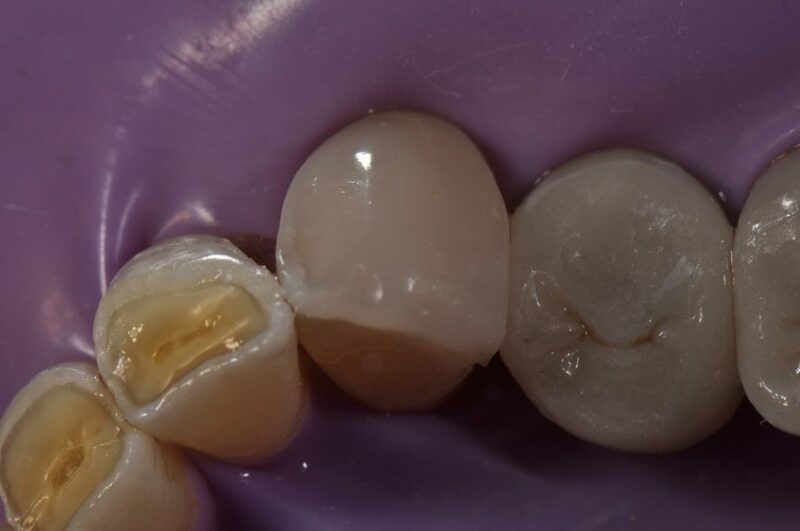 When you’re dealing with a compromised substrate with the patient considering the full mouth reconstruction, it is convenient to use an injectable technique to rebuild compromised teeth with minimal further tooth reduction. 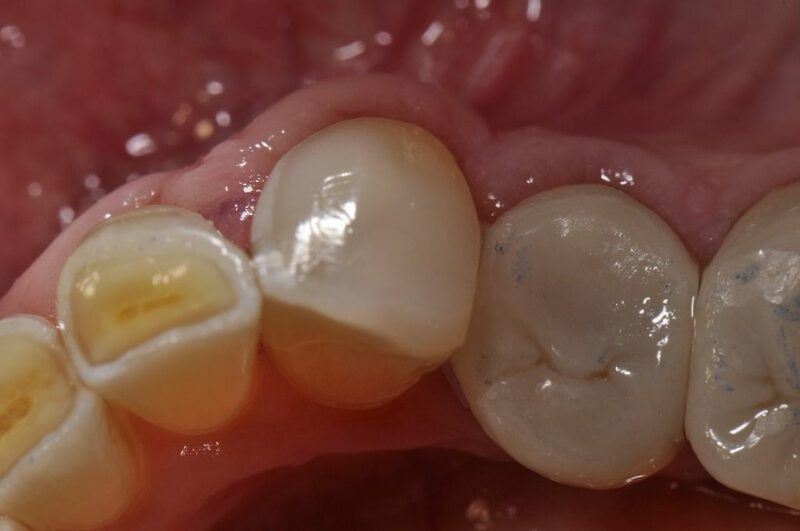 This core buildup is not a bulk fill technique, rather utilizes a material that exhibits extremely high wear resistance, flexural strength (173MPa) and polish retention that must be placed conservatively despite its 1.13MPa (Dentsply SDR = 1.16MPa in this reference comparison) shrinkage stress rating. It’s amazing, but it performs much more amazingly if you don’t abuse it with overly thick increment placement. 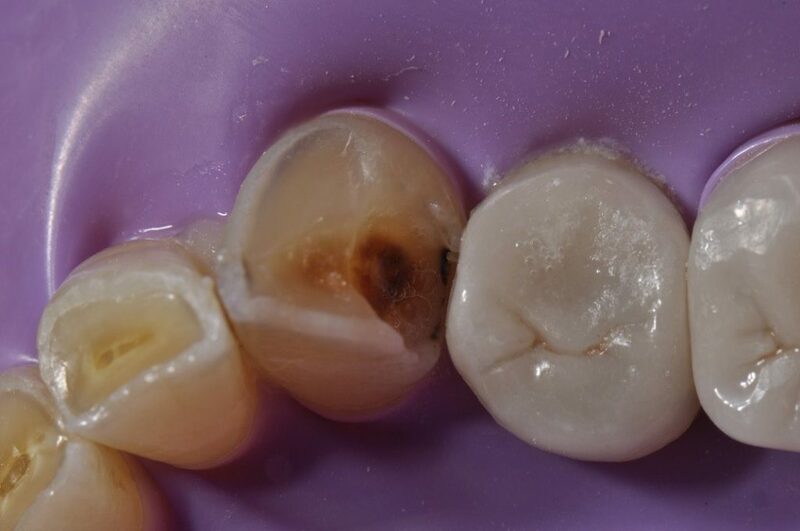 This case featured recurrent caries and a debonded restoration on tooth 33DIBL paired with attrition and erosive damage on the facial aspect of the tooth. Believe it or not, this 84 year old man has been “stable” like this since I met him 5 years ago – he represents an “adapted” occlusion (past constricted envelope of function), although part of the consequence of attrition is an augmented erosive susceptibility, which is exactly what we are seeing here. Micro air abrasion using 27 micron aluminum oxide was utilized before a selective etch technique using GC’s G-Premio Bond.